“Il viaggio è dentro all’immagine, è dentro al libro” — Luigi Ghirri. 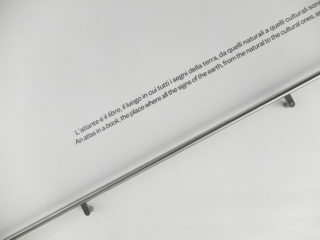 Both conceptual and poetical, Atlante is a photo work made by Luigi Ghirri in 1973 that consists in 41 photographs of enlarged details of a geographical atlas which he describes as “signs of the earth, from natural to human-mades ones”. 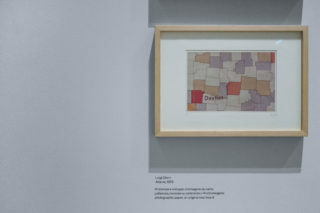 In a sort of reversal act, in this project Luigi Ghirri chose not to shot the real landscape but the represented and imagined one which we discover by reading the linguistic codes of cartography. This project in fact asks a question about the possibilities of representation of the reality by the use of photography. 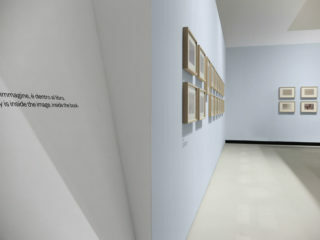 Because of this conceptual overturn, and also because of the important role of codes and representation which is a specific theme in the role of the graphic design, we have been particularly fascinated by this project and we decided to do the same trick — but in opposition — for the exhibition’s identity. By studying Atlante, one of the things we discovered was indeed the important role in the details of the maps which correspond on a typical visual code of the print: the four-colour halftone print. In a sort of intention of “bringing back” same balance in images and signs, we decided to design — by a new reversal act — the typography of the exhibition’s title with a fake black halftone. 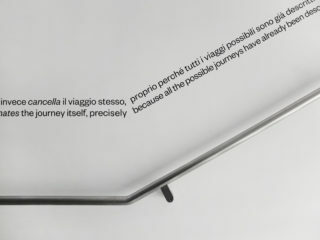 The result of the exhibition’s typography, which it is typically intended as “vectorial” in his nature, we instead put referential codes typical of the image to elaborate a sort of disorientation for the visitors. 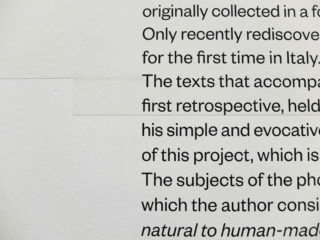 By the use of this conceptual reverse we transformed indeed signs in images — in a sort of complementary opposition with the work of Luigi Ghirri which transposed images in signs. 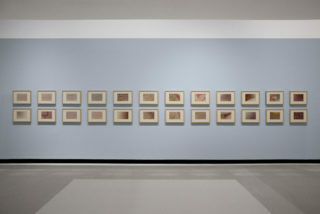 Curated by Margherita Guccione, Bartolomeo Pietromarchi, Laura Gasparini. Hosted at MAXXI.